The first hour of the movie was great! Joan Crawford wanted to play this role so bad, but she was quick to realize after the movie was released that she was "miscast." She and Robert Taylor made a great duo! Please subscribe to my YouTube channel if you're enjoying these! I love making the vids. I'll be doing a duo review with TopBilled next week! Thanks Ian for mentioning this film. It's been ages since I have seen it, and now I will have to re-watch it. Definitely has all the glossy MGM production values. 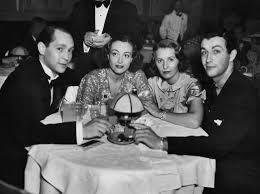 Crawford worked with Taylor again several years later in the remake of WHEN LADIES MEET. Looking forward to our upcoming review! Since you mentioned the friendship this group enjoyed. It sure is. What a privileged glimpse. Be definite about why you give a film a certain rating--you mentioned in this review it was "too complex". For me, that's a recommendation--I Love Alfred Hitchcock's films & some of them are Very complex! If the acting isn't good, say so--& be certain that idea gets to the viewer. 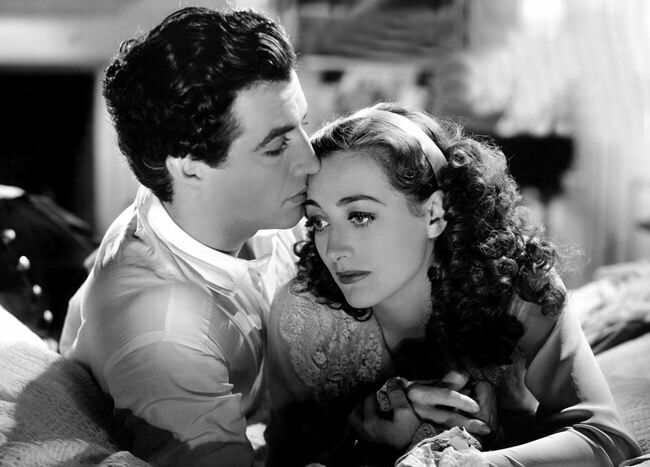 One silly thing--did you notice that on the poster, Joan Crawford's & Robert Taylor's hair is permed?! 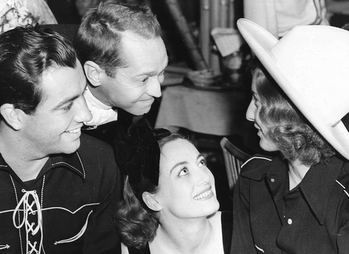 You noted that Joan Crawford had too modern a persona to play "period" roles--good observation!